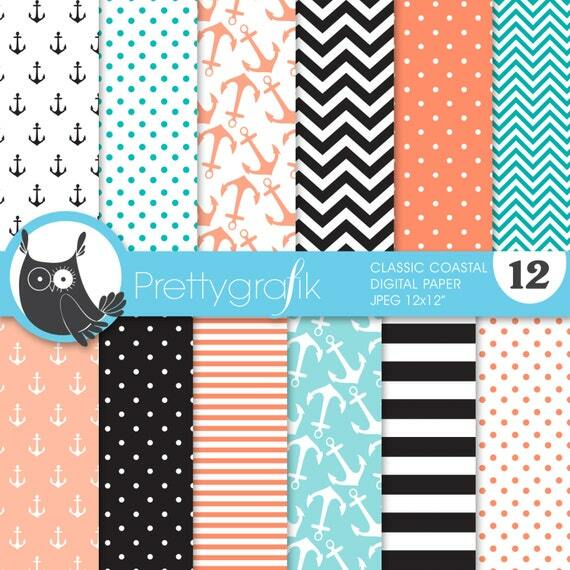 Classic coastal papers featuring traditional chevron, stripes and anchors, perfect for scrapbooking, product design, cards, and much more. YOU MAY NOT share, resell or redistribute our products, ie: Graphic image/paper pack collections. Please read our policies carefully for more information on allowed uses. http://etsy.me/16gic8y . All rights reserved ©2013 Prettygrafik Design & Osagadesign and licensing inc.